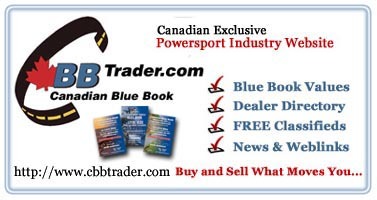 CANADIAN BLUE BOOK is a great resource for anyone looking for Blue Book Retail and Trade-in values, as well as services and resources for ATVs, Motorcycles, Snowmobiles or anything powersports related...so please, spread the word! To place a text link to BLUE BOOK TRADER from your website, simply select everything in the red outlined, form boxes below by placing your cursor at the beginning of the text/code. Next, hold down your left mouse button and drag to the end of the text, until everything in the text box is highlighted or grayed out. Right click on your mouse and select "Copy" from the drop down options or press the "Ctrl" and "C" keys on your keyboard (this pastes them onto your computer's clip board). This code should be pasted into the html code of your webpage. 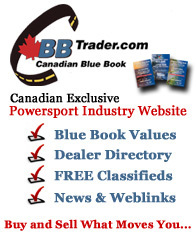 Blue Book Canada - Look up Blue Book Retail and Trade-in Values - FREE! 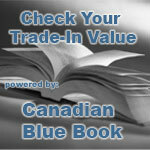 Blue Book Canada - Buy and Sell what moves you! 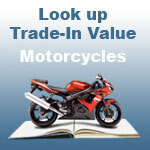 Motorcycles Canada - Look up Blue Book Retail and Trade-in Values - FREE! 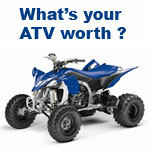 ATVs Canada - Look up Blue Book Retail and Trade-in Values - FREE! 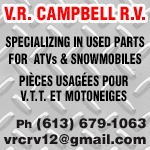 Snowmobiles Canada - Look up Blue Book Retail and Trade-in Values - FREE! 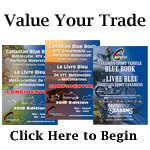 Trade-In Values The following links will land visitors on the Trade-In values section (Recommended for Dealers) https://www.bluebooktrader.com/values_trade-in.php. 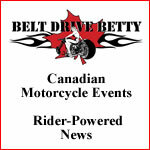 If you prefer, you can also choose from one of the CANADIAN BLUE BOOK banners above. Follow the same instructions as above. 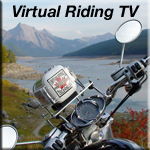 If you require any assistance, please contact us. 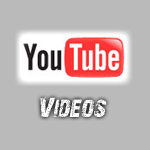 Note: If you prefer to have any of these images local (on your server), right click on the image below and save it to your website. Insert the image onto the page and hyperlink it to https://www.bluebooktrader.com/.